The opening up of the 135-kilometre Eastern Peripheral Expressway, and a phase of the 136-km Western Peripheral Expressway, will enhance connectivity in the National Capital Region (NCR). These corridors are estimated to remove roughly 50,000 trucks out of Delhi's congested roads and accelerate freight movement around the NCR. The expressway is part of larger physical infrastructure designed to connect: a) the Ludhiana-Delhi-Mumbai dedicated freight corridor (DFC), b) the Delhi-Mumbai industrial corridor, and c) the Delhi-Kolkata DFC. In the larger scheme of affairs, this, plus the resurrected Delhi-Bundelkhand Highway, the widened Delhi-Meerut, Delhi-Hissar highways, and the upcoming international airport at Jewar makes the expressway very significant. This is all the more important since National Highway One and Delhi-Agra-Lucknow Expressway have been widened. Completion of the expressways encircling Delhi took nine years longer than scheduled because of land acquisition issues and endless litigation. In Uttar Pradesh, the government's offer to triple the current circle rate to acquire land for the Jewar airport saw farmers holding out for more. The land acquisition problem, it seems, is not going to be easy to solve. There are other issues too. Despite officials' claims that the government's willingness to share the risk was improving matters, investors have been chary about many Indian infrastructure projects believing that risk looms large. Meanwhile, newer players also haven't been able to garner investor confidence even as older players recoup from losses. The NDA regime under late prime minister Atal Bihari Vajpayee was the first to push for a multipronged strategy to pump in public funds for infrastructure creation. Officials insist that two subsequent regimes of the UPA government, however, used this to leverage private capital. Year on year, expenditure rose sharply from the 2014/15 UPA Interim Budget of Rs 1.81 lakh crore. Faulty policy, poor execution, and inefficient decision-making resulted in investors left with bleeding corporate balance sheets and banks burdened with non-performing assets (NPAs). Corporates and banks alike are still to recover from these losses, referred to as the twin balance sheet problem by former chief economic advisor Arvind Subramaniam. The Modi dispensation inherited a messy situation in a hostile environment. To solve the problem, it earmarked expenditure - from the Budget as well as outside government resources - of Rs 5.97 lakh crore in the ongoing fiscal. And in order to ensure timely execution, the prime minister monitors implementation of the big projects, often using Pro-Active Governance and Timely Implementation (PRAGATI). 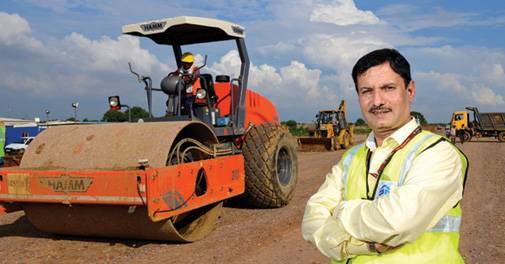 "We have taken many projects to PRAGATI and many times just the listing of an item in the agenda ends all bottlenecks," says Alkesh Sharma, CEO and MD, Delhi-Mumbai Industrial Corridor Development Corporation. 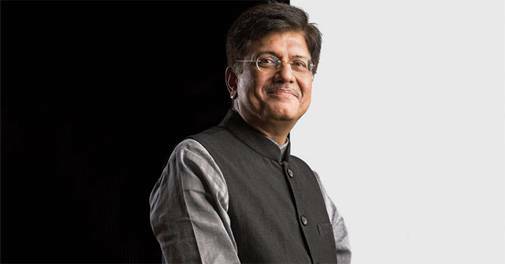 Meanwhile, since he took charge of the railway ministry, Piyush Goyal has pushed for accelerated track-laying and electrification. In the last fiscal, Railways laid 4,405 kms of track whereas it had managed only 7,666 kms in the preceding three years. Railways officials are confident that the first phase of the DFC will kick off in 2019; and that the entire stretch connecting Delhi and Mumbai will be functional within a year of that. The 4,405 kms railway tracks would reduce logistics costs, with a view to improving export competitiveness. Sample this: it requires between a week to a fortnight of inland transit from Delhi to load a container on an export vessel. A similar journey in China will need five-six days. Improved infrastructure will naturally reduce inventory costs. Reliable power supply and better communication networks are the need of the hour. Though the government is making efforts to improve electricity supply, subdued demand has pushed plant load factor at sub-60 per cent. Despite the efforts of the government, Transport Minister Nitin Gadkari and Power Minister Raj Kumar Singh have their work cut out for them if the funding environment is to remain benign. Bankers are in no mood to deal with risks and, as a result, 56 large road sector projects and 11 power plants are in danger of becoming NPAs. The two ministers along with Interim Finance Minister Piyush Goyal have held a series of meetings with the RBI and other banks to find a middle ground but to no avail. Insiders blame the Railway Board for inefficient decision-making but say Goyal's roped in Public Sector Undertakings under his ministry and make headway in track electrification and station redevelopment. More than the railways, it is the ministry of road transport and highways that seems to facing a complex set of issues. It moved to the Hybrid Annuity Model (HAM) to de-risk projects where contractors take projects with annuity-based return commitments; and moreover, these projects can be securitised after completion to toll companies. Stakeholders had high expectations that all possible big road projects would be farmed out; close to 48 large projects have already achieved financial closure. But financial institutions, in order to avoid stress on balance sheets, are demanding more concessions. Bankers fear that there are a few key players grabbing the lion's share, and this could build up to overleveraging. The power minister is also facing an uphill battle with the RBI. Staring him in the face is the threat that nearly 34 projects are on the verge of becoming NPAs. Sources said Singh is very upset that the RBI "arbitrarily" banned debt-restructuring instruments such as Strategic Debt Restructuring (SDR) and the Scheme for Sustainable Structuring of Stressed Assets (S4A). The power sector got a brief respite in June when the Allahabad Court put action against non-defaulting power sector players on hold pending hearing of the power sector's petition against the RBI order. At the time of going to print, the matter was scheduled to be heard on August 20. In fact, the second volume of the Economic Survey released this month noted that 5.9 per cent of bad bank loans were from power sector. With a yawning gap between supply and demand, distribution companies continue to prefer supplies from the state-backed National Thermal Power Corporation rather than private players. This naturally worries bankers. Pulled in multiple directions by stakeholders with diverse view points, the government in July formed a committee under Cabinet Secretary P.K. Sinha, with secretaries from power, finance, coal, oil, and gas to look for a mutually beneficial solution. Building world-class infrastructure is going to be a long haul.